There are a lot of ways of celebrating the most romantic day of your life. 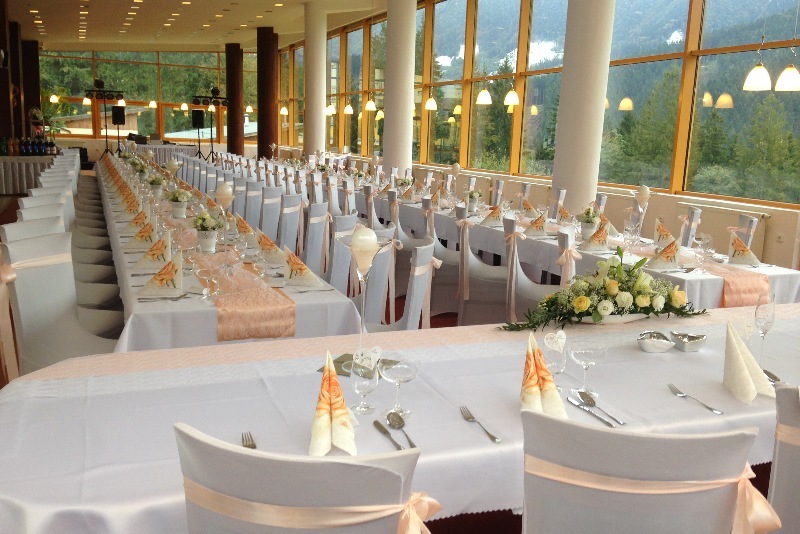 We are sure that the perfect location of the Boboty Hotel in Vrátna Valley is ideal for a unique, unrepeatable wedding. The hotel´s surroundings - the scenery of the mountains - are perfect for unique wedding photos. The magic panorama of the Malá Fatra´s summits outside the hotel windows. Peaceful and quiet surroundings, where nothing will disturb your wedding day. We cannot imagine a more impressive place for your big day. We know that each and every wedding is unique. That´s why our staff take special approach to making your wishes come true throughout the wedding day. We pay close attention to individual requirements of the future newlyweds. We will prepare delicious dishes together with regional specialties, or venison to meet your expectations. 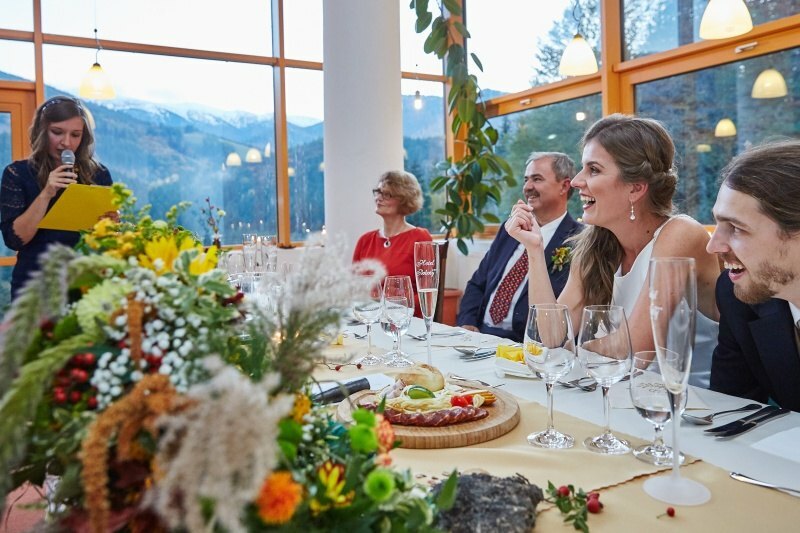 A great advantage of a wedding at our hotel is that your guests can be part of your wedding and then they can enjoy a weekend trip to the breathtaking country of the Malá Fatra, which can be done in every season of the year. 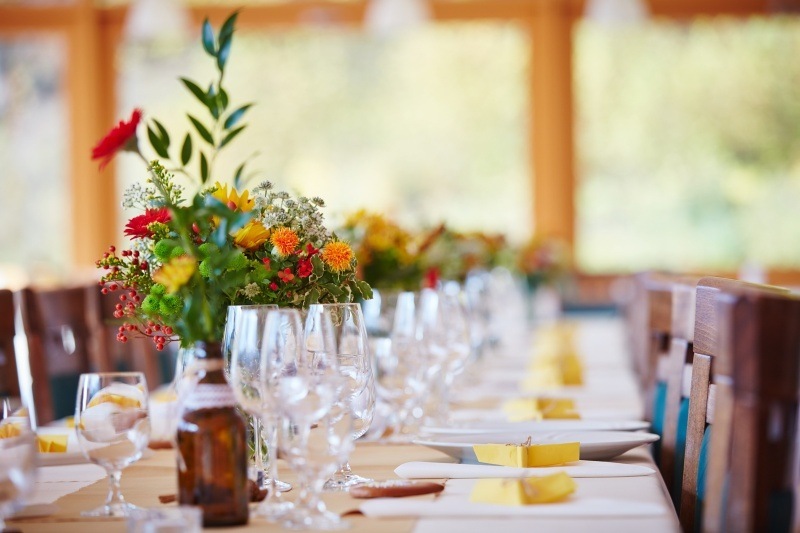 Close your eyes for a while and imagine the beautifully decorated tables in the light of candles, the panorama of the mountains outside the windows, and being surrounded by everybody you care about. At our hotel, the dreams about the fairy-tale wedding will come true. You can fully rely that your wedding day will not be disturbed by anything so that you leave with the nicest wedding memories. The Boboty Hotel is a beautiful place in the heart of Vrátna Valley, where you can fully savour family anniversaries, jubilees, or other important life moments that are supposed to be unforgettable for your nearest and dearest. The superb surroundings of the hotel, the panorama of the Malá Fatra or Boboty mountain ridge, which you can admire from every window of the hotel. We would love you to stay overnight. The hotel´s surroundings are ideal for trips that will become an unforgettable experience for everyone. It is you who finds a reason for a celebration. And it is us who prepares it with great enthusiasm. If you have any questions, or are interested in a particular offer regarding your big day, we look forward to hearing from you on our phone number +421 (0) 903 266 410, as well as on our e-mail address prevadzka@vratna.sk.